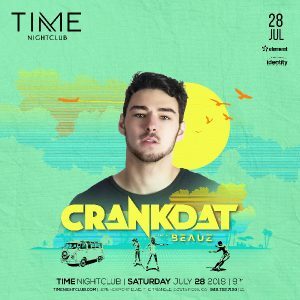 Christian Smith, aka Crankdat, just turned 20 years old and recently dropped out of school to pursue a career in music full-time. He was a Division 1 athlete on a full ride athletics scholarship at Kent State University and was ranked nationally in Track & Field. At the tip of 2017, he decided to make the leap and give music his undivided attention. This month, he will making his festival debut at Number Fest in Ohio, his home state, where he will be playing on the Mainstage. Last year, he attended the festival as a fan. Since then, he has accumulated ~150 million total streams on his music and received heavy support from his idols including The Chainsmokers, DJ Snake, Skrillex, Diplo and many more.